Every month we feature a business who has offered an opportunity on Savvy Guest. 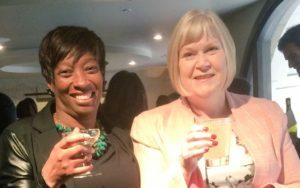 Now the self assessments are over for another year we are pleased to feature our guest blogger Athena Hall BookKeeping We also met Athena at the recent EVA awards where she was also a finalist. Is there something you never get bored of? Something you know everything about and still want to learn more? Passion is key to an entrepreneur’s success. You’ll need it to battle the challenges you’ll face and to persuade people to believe in your ideas. Are you the kind of person who walks into a business and immediately sees the opportunity, or can spot something that’s missing? If you’re always saying ‘Have you thought about…? Or ‘Wouldn’t it be better if…’ then you have the creative and constructive mind set of an entrepreneur. Do you take your time to consider things from many different angles? Or go ahead and take action, figuring out the details on the way? Generally entrepreneurs don’t wait around for the permission to do things. They shoulder responsibility and forge ahead with their actions. Entrepreneurs are able to assimilate information and learn new skills quickly. A business that started at the kitchen table, can scale up to trade around the world. Are you prepared to leap out of your comfort zone and acquire new knowledge to drive success? Entrepreneurs may have their doubts, but they’ll never let uncertainty detract them from their goal. Self confidence and trust in their own judgement are key character traits for an entrepreneur. That doesn’t mean to say that everything you think or say is right though. Entrepreneurs listen to expert and constructive advice and are prepared to change tactics if things aren’t working out. The road to success is never straightforward, and many entrepreneurs have encountered challenges along the way. Whether you’re down to your last coins in your pocket, struggling to find a reliable distributor, or keeping your fingers crossed that that big order comes in before pay day, an entrepreneur rolls with the punches and keeps their eye on the end goal. At some point on your business journey, you need to share your vision and persuade others to join you. Entrepreneurs live and breathe their idea, so talking about it comes naturally. Being able to communicate what you’re offering and why it should matter to someone else is key to entrepreneurial success. Business may be something they really care about and money may only be one of their measures of success, but entrepreneurs always know how much (or little) they have, what they need and what things cost. It doesn’t matter if you’re starting with personal cash or have attracted a wealthy investor, entrepreneurs know that making bad financial decisions can quickly ruin a business. Richard Branson started his first business at school, with a student magazine. Alan Sugar sold aerials from the back of a van. If you found ways of making pocket money as a youngster, you may have the skills and confidence of an entrepreneur already. Imagine you’ve been offered your dream job with the perfect company, in a great location, with loads of benefits. But you’ve got your business idea and you really believe it could go places too. Which do you choose? Microsoft’s Bill Gates, Facebook’s Mark Zuckerberg and Apple’s Steve Jobs all dropped out of prestigious college courses to pursue their business dreams. Successful entrepreneurs know they want to go into business for themselves, not work for someone else. Every month on Savvy Guest we feature a business of the month. To start the new year we wish to introduce Kathryn Orange from The Future Ltd who tells us about her journey to self employment. January is a time of reflection and consideration of next steps in your career and business. 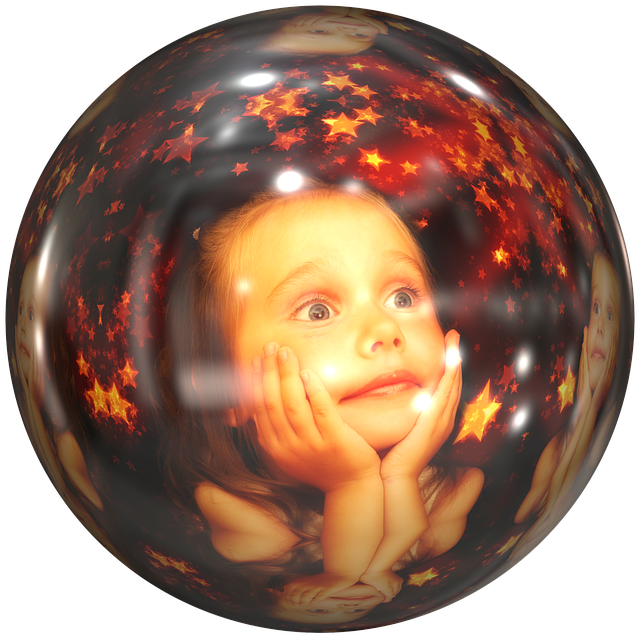 I’ve been thinking about what I wanted to do in my career from a child when I grew up. 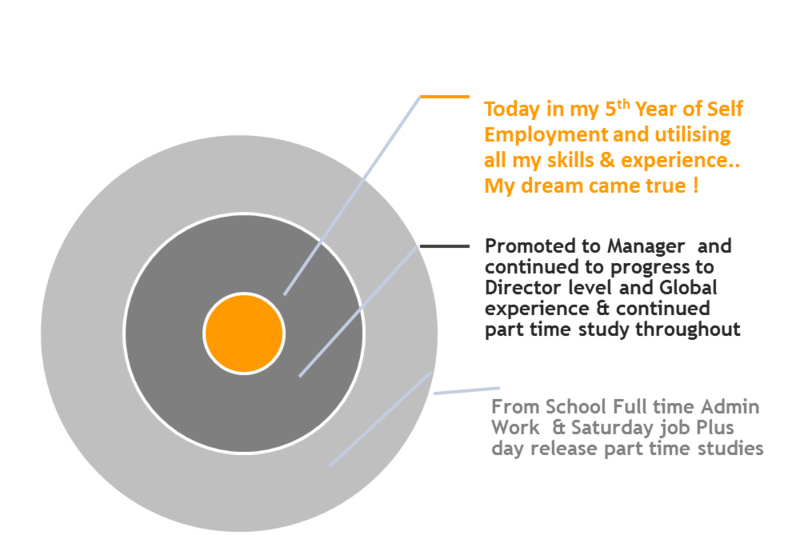 We all dream – today in business its called business vision and I always wanted to work for myself and I thought I’d share my journey. Today it’s very different for individuals starting out on your career. I believe there is a great deal of support and guidance to enable you to leapfrog you into your next step and career. Remember to think about what you enjoy doing and ensure you are building on new skills whilst utilising existing skills and experience. Today I help business leaders to leapfrog their business forward and individuals to identify the right business and career. In brief, I listen first then look and identify what they are good at and also in business ensure there journey is profitable. For individuals I believe it’s important to be very clear on communicating to customers / future employers on what you do (CV) or what services or products you sell (Business i.e. website, social media) that way you will be certain to drive forward your career successfully with both support from others and building towards your goals/dream career. I own my business and have chosen to have a mixture of things that I do (utilising my skills and vast experience) another name for this is a portfolio career. Kathryn Orange is the founder of The Future Ltd which was established in 2013 and based in Greater Manchester & Cheshire, UK. She is a strategic thinker, business builder, and a great listener. She helps her clients to identify growth opportunities, and to build great businesses that understand their customers’ needs and importantly helps them to deliver new revenues and improved margins, including sustainable growth. An outstanding track record and her diverse experience has been gained in senior roles across a range of industries in the private sector with SME, National and International major PLCs, within the services and voluntary sector as NED and in leading franchise organisations. In effect Kathryn can aid relationships to deliver future business growth and fuel executive dreams. This month we have been working in partnership with Stroke Association. Scott Smith is the Community Development and Partnerships Manager for the Stroke Association in the North West. 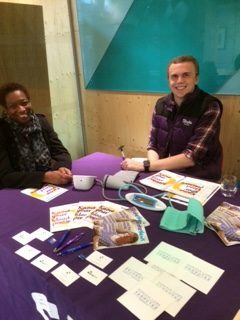 He is passionate about helping those affected by neurological conditions and he was delighted to be asked to help check blood pressures at our recent Savvy Guest event for Small Business Saturday at Rise, Deansgate, Manchester. So, you’re thinking how is the brain and blood pressure connected – here’s how! Just over half of all strokes are caused by high blood pressure. That’s why it is so important to regularly check your blood pressure, as there are no recognisable signs or symptoms of high blood pressure. So, you don’t know unless you check. The Stroke Association works tirelessly in trying to prevent strokes by checking thousands of blood pressures each year. Here in the North West we had a blood pressure event on two out of every three days which is a fantastic achievement for all involved. As well as preventing strokes, we support people living with life after stroke. We are in the middle of our ‘Lost for Words’ campaign which highlights the difficulty communicating after a stroke can be. Aphasia is a disorder that occurs when the language areas of the brain are damaged by stroke. It can affect a person’s ability to speak, write, read and even to be understood by their loved ones. The tragedy of aphasia affects a third of all stroke survivors. And because a stroke happens suddenly, this life-changing event is terrifying and can leave many stroke survivors feeling isolated and lonely, even when surrounded by family and friends. Small Business Saturday is an opportunity for us to celebrate the success of the UK’s 5.4 million small businesses – from family run restaurants, to innovative tech start-ups, to local corner shops. The UK’s 5.5 million small businesses are the backbone of our economy, creating millions of jobs in communities across the country and helping to build an economy that works for all. Small Business Saturday, a grassroots, not-for-profit campaign, places small, independent businesses in communities across the country in the national spotlight. Its aim is to prompt people not only to spend money with small independent businesses in the run-up to Christmas but also to create a mind-set to support them all year round. Small businesses around the UK have planned events, promotions and other activities to attract clients and customers to them not only on December 3rd but also beyond. The campaign team has also completed a five-week nationwide bus tour to all regions in the UK to promote Small Business Saturday locally visiting 29 towns and cities in 27 days. 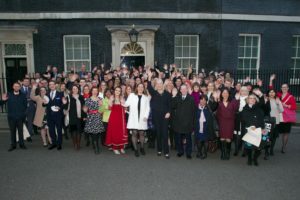 Small Business Saturday has become an exceptional example of collaboration and co-operation with small businesses teaming up in communities around the UK,” explains Campaign Director Michelle Ovens. 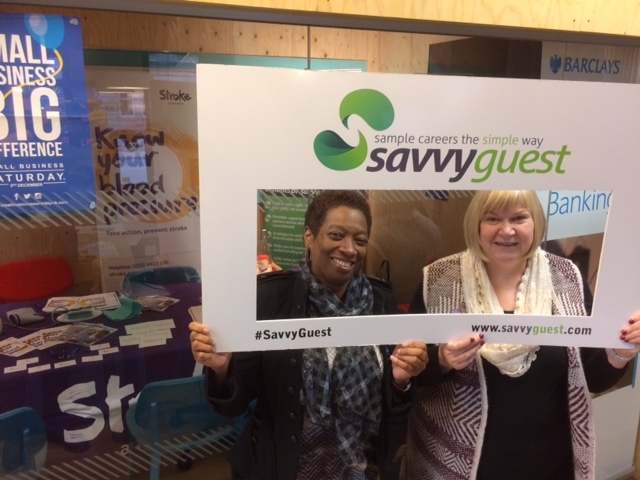 We aim to promote the benefits of Savvy Guest alongside other small businesses and we will be especially pro-active on December 3rd within our local communities. 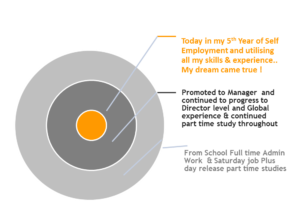 Currently we have identified there is a real disconnect for information sharing. We intend to have a Small Business pledge for businesses to register with Savvy Guest allowing us to go out and promote the pledge to career seekers. Savvy Guest will be holding a Health and Well Being event in partnership with the Stroke Association on Saturday 3 December to promote Small Business Saturday. We would like to take this opportunity to invite you to come along to our event. The event will take place at, Rise, 231 Deansgate, Manchester, M3 4EN. We will be offering 3 sessions on the day. On the day you will receive a free blood pressure check assisted by Scott Smith of the Stroke Association. Please drop in after or before you have visited the infamous Manchester Christmas Markets. We look forward to meeting you. The campaign is a great nationwide promotional and marketing tool for small businesses. It is totally free to participate and any small businesses can get involved – from one-man-bands, through to a high growth office, and from tradesmen to social media gurus. In addition to the big day, the campaign also delivers help and advice alongside opportunities to connect with other small businesses. In short, Small Business Saturday exists to support, inspire and promote small businesses. The British public has a great affection for small businesses and we continue to see that grow year on year. Small Business Saturday is an exceptional example of collaboration and co-operation with small businesses teaming up in communities around the UK,” explains Campaign Director Michelle Ovens. 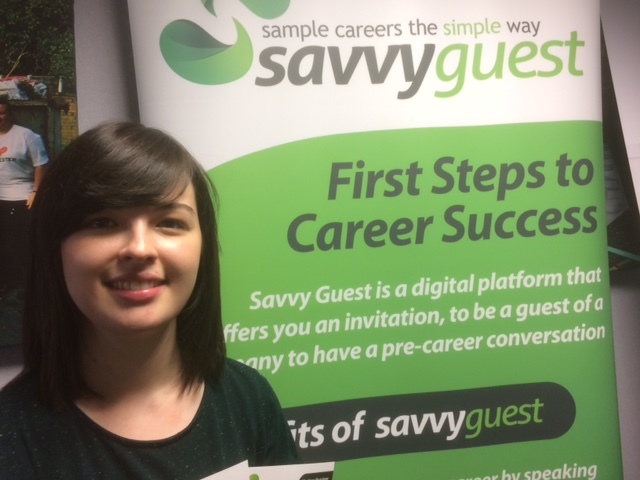 During the last few months we have been presenting at High Schools and Colleges, being interviewed on the local radio station, visiting new businesses at their offices and meeting some fantastic individuals to upload pre-career opportunities. 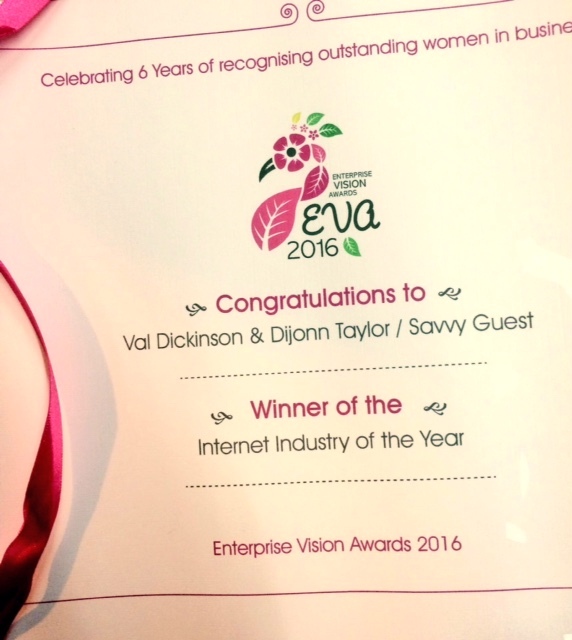 All this culminating in being selected and winning two fantastic awards namely Small Business Saturday UK 100 and the Enterprise Vision Award 2016 for the Internet Industry UK. 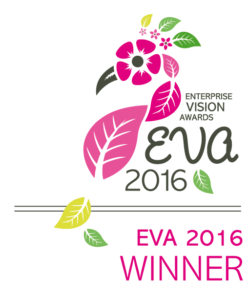 The EVAs (Enterprise Vision Awards) recognise women in business across the North West. 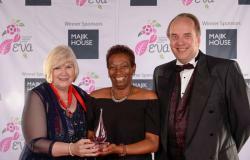 It gives individuals the opportunity to reflect on their achievements, alongside growing in confidence, an opportunity to network and provides winners the accolade of being an EVA award winner! We were both honoured and proud to be amongst some really inspirational ladies and fantastic applicants, and equally delighted to receive our award from category Judge Ian Rolfe, of World Pay who were the sponsors of the Internet Category. After our submission were we overjoyed to be selected to move onto the 2nd part of the process – the interview. On a sunny day in July we embarked on our road trip to Blackpool Football Club to meet our judges. After a gruelling but enjoyable 25 minutes we emerged triumphant that we had come through the final process more or less unscathed. 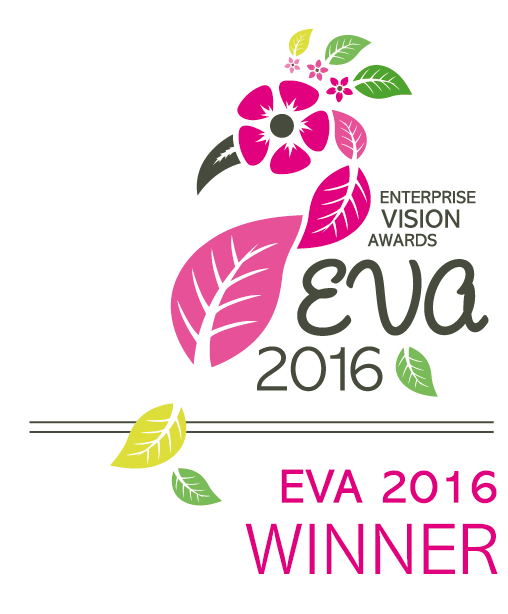 A few weeks of anticipation later and we were on our way to Blackpool again only this time it was to the EVAs Awards evening at the infamous Winter Gardens. The venue was a sight to behold and the excitement and atmosphere of the evening captured all the essence and ambience of the fabulous event. When the Internet finalists were announced later in the evening we could hardly contain our excitement and when Ian…. said ‘Savvy Guest’ we really couldn’t quite believe it. What a fabulous end to a perfect evening. 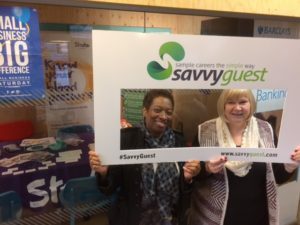 September 21st will be etched on our memories for a long while as that was the day Savvy Guest was in the spotlight as part of the Small Business Saturday’s UK’s Small Biz 100. Although, we are classed as a small and unique Manchester business, we have BIG ideas when it comes to offering a pre-career guidance service which gives adults 18+ the chance to spend a short time with someone in a job role they are interested in themselves. Savvy Guest founder Dijonn Taylor identified a lack of good advice for individuals seeking relevant career tips, and realistic expectations of job roles. Dijonn was convinced the answer lay in creating a digital platform with capabilities of bringing together companies and individuals for pre-career chats whilst incorporating Corporate Responsibility and capturing valuable data. Val Dickinson, joined as Dijonn’s Business Partner and together they launched Savvy in 2013 culminating in a fully integrated pre-career digital platform which is successfully gaining momentum day by day. 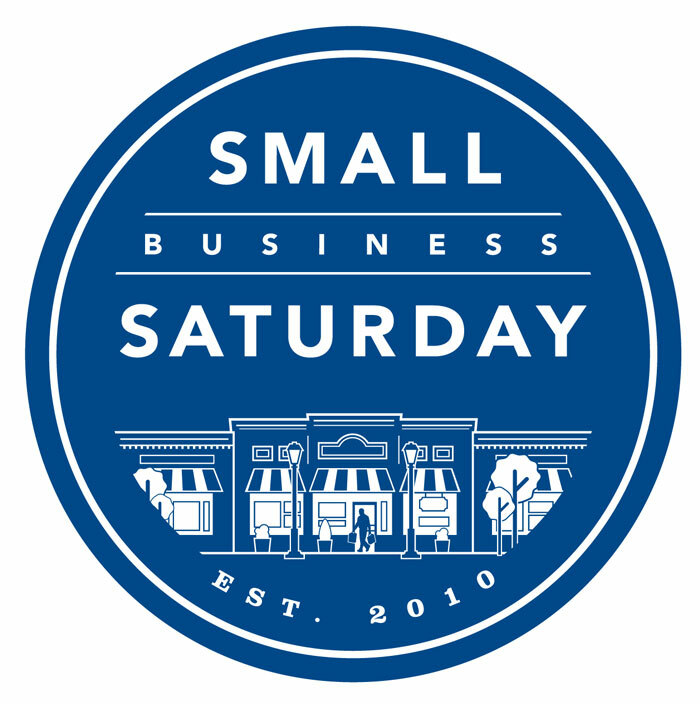 Savvy Guest is among the select number of businesses to be featured by the Small Business Saturday campaign one per day for the 100 days leading up to Small Business Saturday on December 3rd. Small Business Saturday is already the UK’s most successful small business campaign. This is the fourth year of the campaign, which last year saw £623m spent with small businesses across the UK on Small Business Saturday, an increase of £119m or 24 per cent on the previous year. The campaign trended at number one in the UK on Twitter on the day with more than 100,000 campaign-related tweets being sent. Over 75% of local councils supported the campaign, giving considerable national reach into local communities. In short, Small Business Saturday exists to support, inspire and promote small businesses. We have also been featured alongside the other #Smallbiz100 in The Guardian and in the Tameside Reporter. Savvy Guest will be promoting ‘A Health & Wellbeing Day’ in the small business community, working alongside Scott Smith from the Stroke Association who will be providing a ‘Know your Blood Pressure’ session. We understand the pressures that come with running a small business and on the day you will be offered a free blood pressure check and advice. You can find us at Rise, 231 Deansgate Manchester M3 4EN on Saturday December 3rd between 11.30am – 3.00 pm so please come along and say ‘hello’. This month our blog post about Brexit was submitted by Councillor Emma Taylor, Labour Member for Bradford Ward. In the early hours of June 24th, there was a mixture of gasps of horror and cheers of joy when Britain’s vote to leave the EU was announced in Manchester Town Hall. Just over two months later, what does Brexit mean for the next generation of workers in Greater Manchester? Amidst an ever-changing political landscape, uncertainty about the impacts of Brexit will continue to dominate for the foreseeable future. After all, Greater Manchester has benefited substantially from EU funding. The conurbation was expected to receive a combined £321m from the European Regional Development and Social Funds up to 2020. That’s money that over the years has helped shape Greater Manchester; extending the Metrolink network, developing the Sharp Project creative-digital hub and creating jobs at the Graphene Institute to name just a few funded projects. With the economic fallout of the referendum vote still reverberating across Greater Manchester, many young people understandably don’t feel as confident about their future job prospects as they did before June. After all, young voters wanted Brexit the least – it is thought that more than 70% of under 25s chose to remain in the EU. Yet it is this generation which will have to live with the consequences of Brexit. Despite growing economic headwinds, Greater Manchester has proven itself to be an attractive location for a number of new business sectors which are slowly starting to flourish. Against that backdrop, recent school leavers and graduates across the conurbation need support from both national and local government to obtain the skills required in the workplace of the future. Young people in the north have been neglected for far too long. That’s why business and local government must collaborate to ensure Brexit doesn’t rob another generation of Greater Manchester residents of their potential. A proven track-record of economic stability and business confidence, founded on close partnership between the public and private sectors, will be the key to creating the high-skilled jobs of the future in the conurbation. With the Greater Manchester Metro Mayoral election scheduled to take place in May 2017, residents will rightly be expecting that new position to be a catalyst for sustainable economic growth which can weather the Brexit storm. Emma Taylor is a Labour Party councillor for the Bradford ward, Manchester City Council. 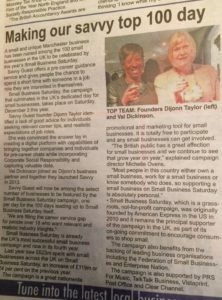 We are delighted to announce Savvy Guest has been named among the 100 small businesses in the UK to be celebrated by Small Business Saturday, the campaign that culminates in the UK’s dedicated day for small businesses on Saturday December 3rd. Savvy Guest will now be among the select number of businesses to be featured by the Small Business Saturday campaign one per day for the 100 days leading up to Small Business Saturday itself. Although the campaign focuses on one day, the goal is to have a lasting impact on small businesses by changing mind-sets, so that people make it their mission to support small businesses all year round. Most people in this country own a small business, work for a small business or know somebody who does, so supporting a small business on Small Business Saturday is absolutely personal. Watch this space for further announcements…. Fresh Off the Runway first took place in 2014, an urban fashion show created to cater for the untapped market of fashion lovers of Manchester, providing fashion that is different, unique and appealing to the rising sector. The event takes place once a year showcasing the year’s chosen designers with new collections to be seen by members of the public and industry specialists. 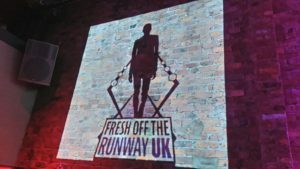 Fresh off the Runway is the great place for designers meet and interact with their target audience as well as industry professionals which could provide great business contacts for designers. In this fashion event we showcase some of the hottest looks currently on the streets of Manchester with each designer having its unique interpretation. 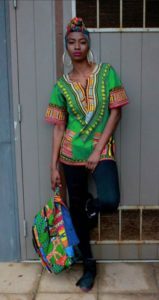 Fresh Off the Runway is a creativity showcase, an event that helps the community sustain itself as a social enterprise. There is a great demand for customised event for sole traders, self employed and graduate students and artists in the community that would like a career in the fashion and textiles industry. 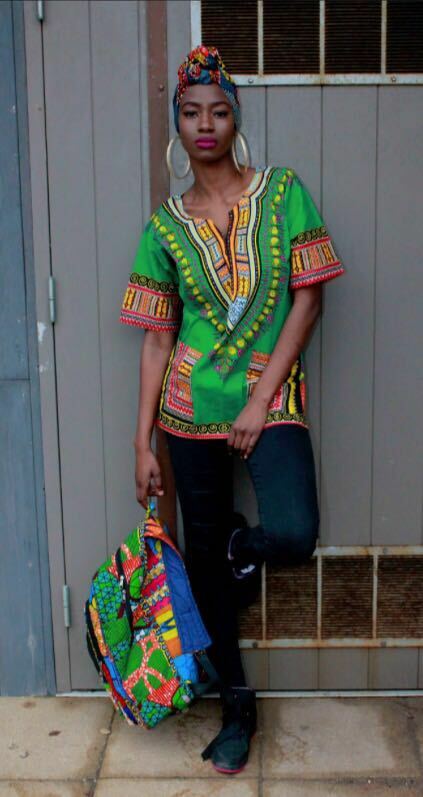 A big part of Fresh Off the Runway is using local fashion talents to help cultivate and expand their ability of success. We aim to successfully promote and showcase the diverse cultures in Manchester with both male and female designers from all walks of life. 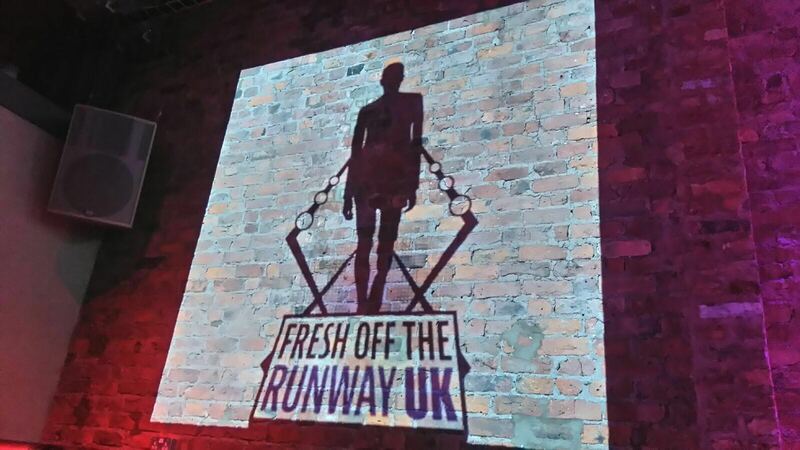 The next catwalk show will take place in Manchester on Sunday September 25th. Watch this space for details.